Top 10 Highest paid actors of Bollywood. Bollywood has many actors. but some of them are famous for their highest charge per film. Here we sharing top 10 highest paid actors of Bollywood. Salman Khan Indian film actor, producer, playback singer and television personality. Salman Khan charges 50 crore ($7million) per film and his net worth Rs 1852 crore ($250million). Shahrukh Indian film actor and producer. shahrukh khan also now as 'king of bollywood' 'bollywood badshah' and 'king khan'. Shahrukh khan charges per film 45 crore ($6million) and his net worth Rs 5260 crore ($750 million). Aamir Khan Indian film actor and television host. aamir khan also known as mister perfectionist in bollywood. Aamir Khan charges Rs 40 crore ($5million) and his net worth Rs 1282 crore ($180million). Akshay Kumar is Indian film actor, producer, television personality and martial artist. Akshay Kumar Charges per film Rs 40 crore ($5million) and his net worth Rs 1496 crore ($210million). Hrithik Roshan is an film actor and his especially known as his dancing skills. Hrithik Roshan charges Rs 40 crore per film ($5million) and his net worth Rs 2600 crore ($340million). Ajay Devgan is an Indian film actor, Director and producer. Ajay Devgan charges Rs 25 crore ($3million) per film and his net worth Rs 250 crore ($35million). Amitabh Bachchan is an Indian film actor, producer and television host. and his also know as 'Angry young man'. Amitabh Bachchan charges Rs 30 crore ($4million) and his net worth Rs 2849 crore ($400million). Ranveer Singh is an Indian film actor and one of highest paid actors. Ranveer Singh charges Rs 20 crore ($2million) per film and his net worth Rs 136 crore ($19million). 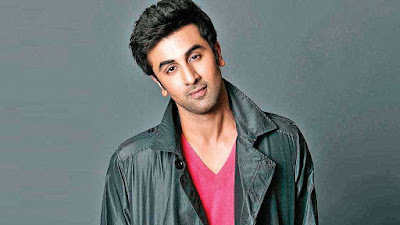 Ranbir kapoor is an Indian film actor. Ranbir kapoor charges Rs 25 crore ($3million) per film and his net worth Rs 320 crore ($44million). Shahid kapoor is an Indian film actor. Shahid kapoor charges Rs 20 crore ($2million) per film and his net worth Rs 199 crore ($28million).